In dealing with office tenants, brokers know that beyond finding the right location and price, closing a transaction sometimes takes addressing the niche interests of various top company executives. The CEO might be sold on the general plan and stoked about her new corner suite view, but if the CFO isn’t happy about how the financial concessions are structured or the office manager is complaining about the new employee valet parking arrangement, the deal might very well be toast. Skyline view of downtown Miami, Florida. 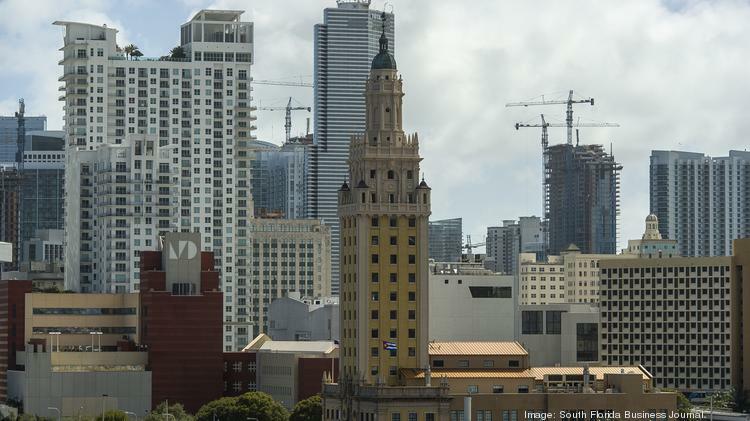 A panel hosted Wednesday by the Beacon Council and developer Florida East Coast Realty at an FECR building in Coral Gables suggested brokers should be making sure one oft-ignored C-level exec, the chief information officer, is also in on the deal. “IT involvement is usually something that doesn’t happen until very late in the process, sometimes too late to deal with the problem,” Jeff Marder, CIO of law firm Greenspoon Marder, told the several dozen commercial brokers at the panel. A common consequence of not involving the IT folks early when looking at a lease: everyone will find out very late in the process the deal cannot be done because the tenant’s existing network carrier doesn’t have service in the building they’re moving into. I’ve seen buildings where it’s kind of a network black hole,” Marder said. Scott Haugland, who works leasing deals for both tenants and landlords and specializes in technology companies, listed some of the other considerations focusing on IT brings: the weight and heat produced by server “racks” and backup batteries create physical issues. The building might not have proper HVAC distribution or the floor layout might mean a wet bar is stacked immediately on top of a tenant’s computer systems, something that could be disastrous if a pipe bursts. The floors might not be able to handle the load of several 3,000-pound computer batteries sitting right next to each other. Haugland gave an anecdote of a technology firm that faced that issue when leasing the 25th floor of an office building in Chicago. “We had to fly I-beams with a helicopter through a window on the 25th floor, which was very, very expensive,” he said. Beyond discussing the importance of getting the IT folks in on office leasing decisions, panelists also briefly reviewed what they believe are technology-backed trends likely to keep re-shaping office leasing. The hottest topic: the rise of co-working spaces. “The reason it is a trend is because it saves money,” he added.